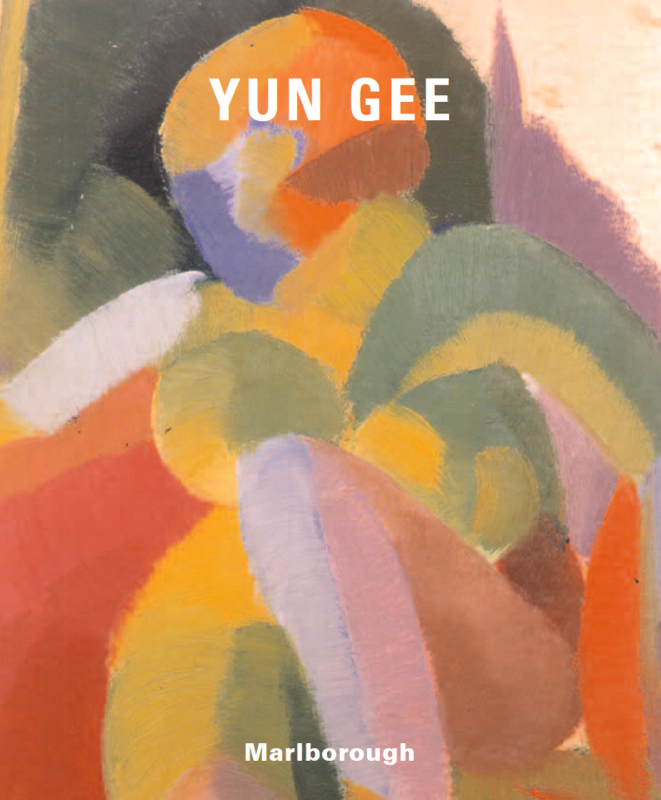 September 2005 – The Directors of Marlborough Gallery are pleased to announce the opening of an important exhibition of works by the modernist Asian-American painter Yun Gee (1906-1963) on October 19th at 40 West 57th Street, New York. The show will include over thirty paintings and drawings that span the groundbreaking years of his artistic production from 1920 through 1940. The game board for Tri-King 4-D Chess, a brilliant combination of chess and the Chinese game Go that Gee invented in the late 1940s, is also included in the show, an example of the diversity for which this polymath, also a poet and philosopher, is celebrated. Gee was born in 1906 in a village near Canton, China. His father, a merchant and entrepreneur, spent much of his time in San Francisco. In 1921, Yun Gee immigrated to San Francisco and joined his father. His mother remained in China with his siblings; he would never see her again. Upon his arrival in the United States, Gee enrolled at the California School of Fine Arts (now the San Francisco Art Institute) where he studied painting and drawing under the tutelage of Otis Oldfield (1890-1969), a well-known San Francisco modernist who also became his close friend. Oldfield’s Cézanne-inspired canvases would come to inform Gee’s aesthetic. Lessons in forming volume from areas of contrasting warm and cool colors resonated through his work for the rest of his life. In 1926 Gee formed The Chinese Revolutionary Artists’ Club and started to develop his post-cubist theory of Diamondism, reflecting his fascination with the process of perception and truth. He also befriended members of the San Francisco avant-garde such as poet Kenneth Rexroth, critic Jehanne Bietry-Salinger, and artists John Ferren, Dorr Bothwell, and Ruth Cravath. In 1927, sponsored by French collectors, Gee moved to France where he became acquainted with the Parisian avant-garde and partic- ipated in 1928 and 1929 in the Salon des Indépendants. Gee had a solo exhibition the following year at Galerie Bernheim-Jeune, where Matisse and Picasso had exhibited their works. On his return to New York, Gee exhibited at the Brooklyn Museum. In May 1932, the Museum of Modern Art moved to a new location and their inaugural exhibition, Murals by American Painters and Photographers, was intended to serve as a reference for archi- tectural decoration. Lincoln Kirstein, the curator of the show, also wanted to provide an opportunity for American artists to make murals. Yun Gee was amongst the forty-nine artists invited to participate. Each artist was asked to produce three works on the theme of “The Post-War World.” Three works featured in the MoMA show will be included at Marlborough: Sun Bathers, Modern Apartment and Merry Go-Round. Having returned to Paris again in 1936, Gee exhibited at Galerie de la Reine Margot; again at Bernheim-Jeune in 1938 and at the Salon des Indépendants and throughout Europe. The second world war forced his exile back to America, where he remained a Chinese émigré, never fully accepted by the establishment. In 1968, five years after Gee’s demise, New York dealer Robert Schoelkopf mounted a solo exhibition of Gee’s work. Diane Cochran in American Artist identified his work with the American movement of Synchronism and in 1979 The William Benton Museum of Art, Connecticut, presented the first retrospective of his work. In 2003 scholar Anthony W. Lee, the leading authority on the artist, published a monograph about Gee’s art, poetry, and writings. Yun Gee has become a star in studies on Asian American art and on modernism. His works are now considered gems of Chinese modernity. Gee’s work can be found at The Hirshhorn Museum and Sculpture Garden, Washington, DC; The Los Angeles County Museum of Art, Los Angeles, CA; Musée national d’art moderne, Centre Georges Pompidou, Paris; The Oakland Museum, Oakland, CA; The Weatherspoon Art Museum, University of North Carolina, Greensboro, NC; Whitney Museum of American Art, New York, NY; The Wolfsonian Museum, Florida International University, Miami Beach, FL.